The labeling systems products at LSI are manufactured for a variety of different applications. Below you will find a collection of links that showcase some of the labeling solutions that are available. 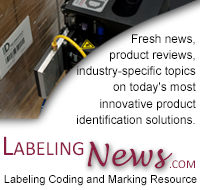 Reach out to a Labeling Systems representative with any questions. Vial labeling requires specialized product handling. LSI has the solutions for a variety of sizes. Pharmaceutical labeling has become a critical component of pharmaceutical production lines. LSI offers a variety of bottle labeling solutions. Track and trace and e-pedigree is the method of tracking a product through the supply chain.